I am feeling a wee bit nostalgic, not for the Emerald Isle, but for the family, my ancestors and my relatives, who came from there. Some of them were Irish and some self identified as English. They came from Northern Ireland and Ireland. I can feel them, behind me, floating, somewhere off to the right and somewhere off to the left and some unreachable. 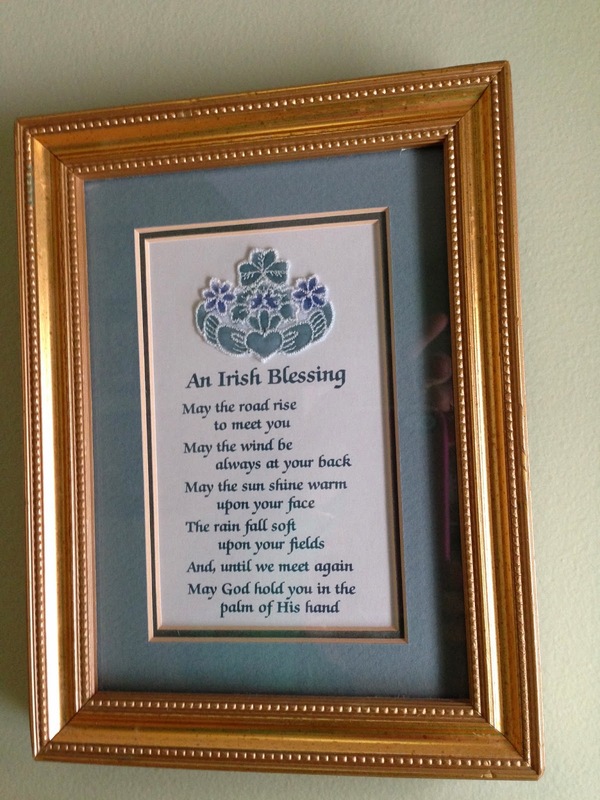 My grampa, Bubba, initiated the spark of this ability (or self invented perception) of being able to feel close to my Irish ancestors. He instilled in me the importance of family and keeping close. Wearing green and celebrating St. Patrick's day was first and foremost about family and, yes, it included the eating of corned beef, an American tradition. Bubba was proud of being 100% Irish and, although he teased my sister and me about being stubborn Germans like our Grandma, on St. Patrick's day I felt 100% Irish too. I wore my freckles and orange (Why do people call it red?) highlights with pride. Family is family, dead or alive. This may be peculiar to genealogists or family historians, but because of the research I have done into the lives of family members I have never met, I feel like I know them, like I have sat with them and had tea and cookies at the kitchen table. Yup, feeling nostalgic, tears prickling. I miss them all, the ones with whom I have walked in this life and the ones I continue to know in my dreams and the ones I will someday meet again.